It is a rare thing for bad artwork to spoil my enjoyment of a well-written comic book. Yet Filipe Andrade has managed that feat and as a result I'm dropping Captain Marvel from my subscription. Andrade's artwork is so awful I can't even bear to feature any more of it on my blog than I have to - hence the scan of this issue's far superior cover below. 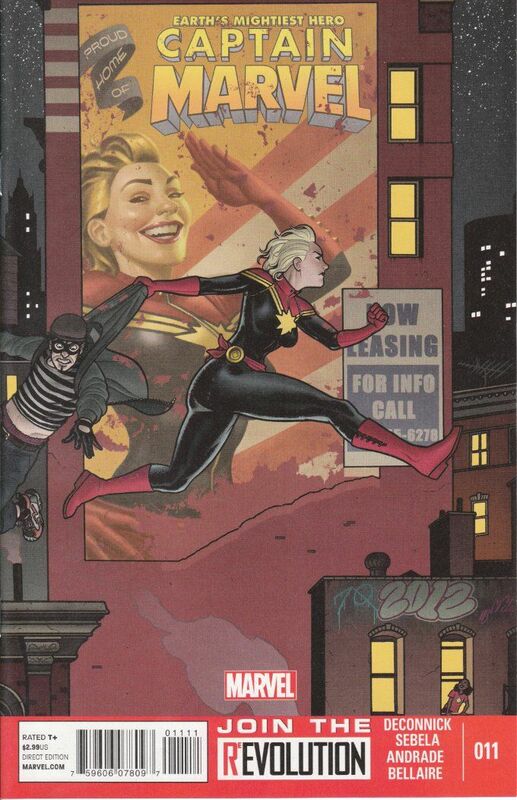 To my mind, this image is above is how Captain Marvel should be presented. Strong. Capable. Tough. At the very least, she should appear to be a human female and not evoke thoughts of the super-skinny aliens from the movie A.I. as Andrade's characters do. To describe the figures he depicts as freakishly skinny would deny me the opportunity to use a number of ten-dollar words such as emaciated, malnourished and anorexic. I wish I could stay for the excellent writing of Kelly Sue DeConnick and Christopher Sabela. 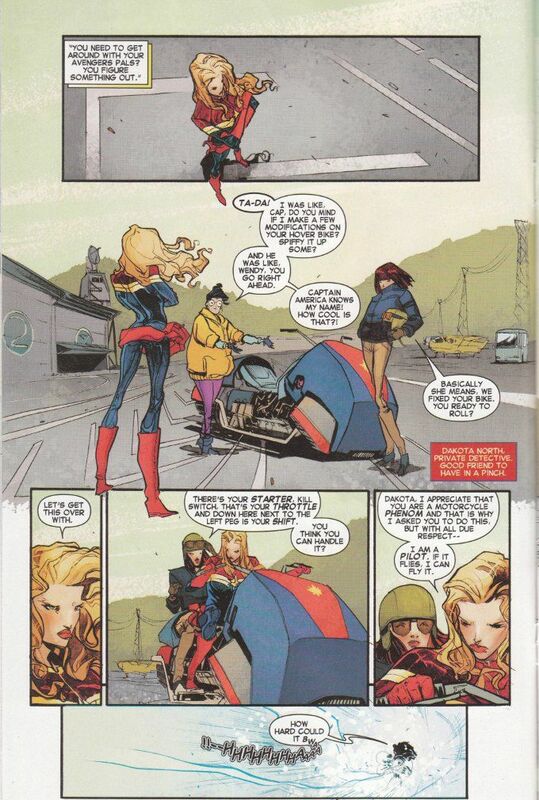 There's a good story underneath all this about Carol Danvers coping with a medical problem that leaves her unable to fly and dependent on a SHIELD-issue flying motorcycle. However, I fear it's not worth the aggravation of trying to interpret what I'm looking at on every page.